In the autumn of 2013 Scania introduces Eco-roll, an advanced system with the potential to lower customer’s fuel costs by up to two percent. The Eco-roll system calculates when a truck should use gravity to roll in neutral downhill. Customers in Europe who order a truck with Scania Opticruise with Active Prediction starting in the autumn of 2013, will from the first quarter 2014 be able to save fuel and money by using a new feature, Scania Eco-roll. The system calculates which is the most fuel efficient, whether to roll down hills with the transmission in neutral and the engine idling, or to use engine braking with the fuel supply switched off. Choosing which is the most fuel-efficient – to cruise down a hill in neutral or under engine braking – is not as obvious as it may sound. Scania Active Prediction makes the calculation automatically. If the system chooses Eco-roll in order to make use of the kinetic energy, then the objective is to roll downhill in neutral for at least ten seconds since shorter sessions would be less useful. At the same time the speed should not be so high that engine braking is engaged, since this negatively affects the fuel energy already transferred to the engine. Scania Active Prediction uses both GPS (for positioning) and topographic maps to control speed. Depending on which performance mode drivers select, the truck utilises a number of strategies to either use as little fuel as possible or to optimise a high average speed. Where topographical map data is available, Scania Eco-roll is standard on long-haulage trucks, provided that the truck is equipped with Scania Opticruise and Active Prediction, a two-pedal system and a Euro 6 engine. A further development of Scania Active Prediction is that the system is now even better at optimising gear changing strategies. 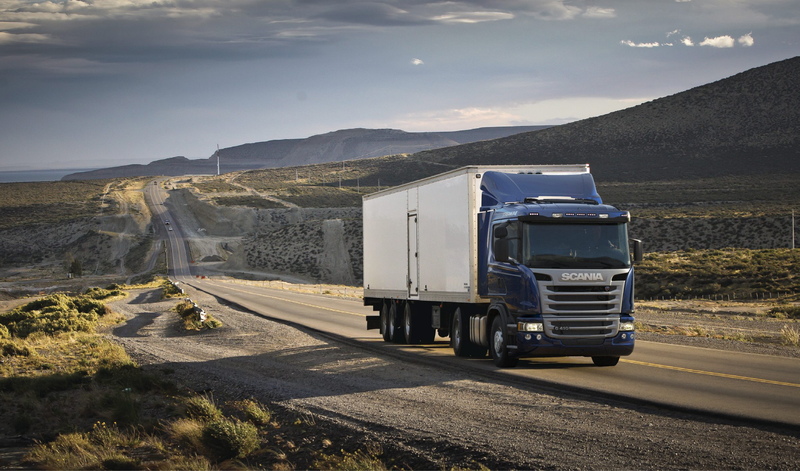 By analysing how much remains of an uphill gradient, unnecessary gear shifting can be avoided by utilising the low-rev torque advantage of Scania engines.